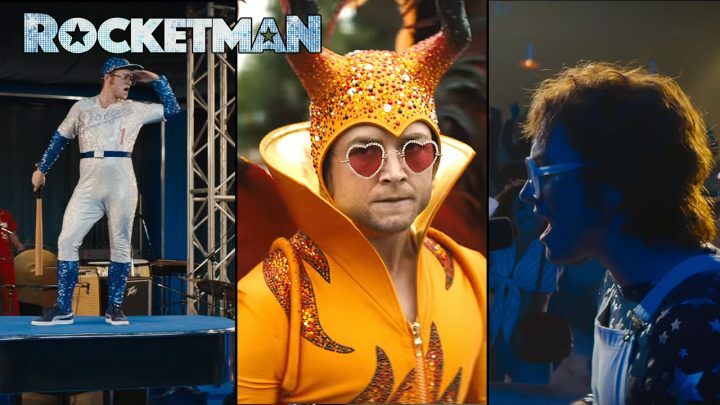 Paramount Pictures has released the first Rocketman trailer. Check out the trailer below! The Elton John musical biopic stars Taron Egerton (Robin Hood, Kingsman: The Golden Circle) as flamboyant superstar Elton John, along with Jamie Bell (Fantastic Four, Snowpiercer) as John’s songwriting collaborator Bernie Taupin, Richard Madden (Game of Thrones), and Bryce Dallas Howard (Jurassic World: Fallen Kingdom). ‘Rocketman’ will focus on the breakthrough years of Elton John’s music career, beginning with his scholarship to the Royal Academy of Music to reaching global stardom. The film will look at the uncensored story of what inspired Sir Elton John’s flamboyant costumes and poignant ballads. Dexter Fletcher (Eddie the Eagle) directed ‘Rocketman’ from a script by writer Lee Hall (Billy Elliot). Matthew Vaughn’s Marv Films produced the film alongside Elton John and David Furnish’s Rocket Pictures. ‘Rocketman’ opens in theaters on May 31, 2019.